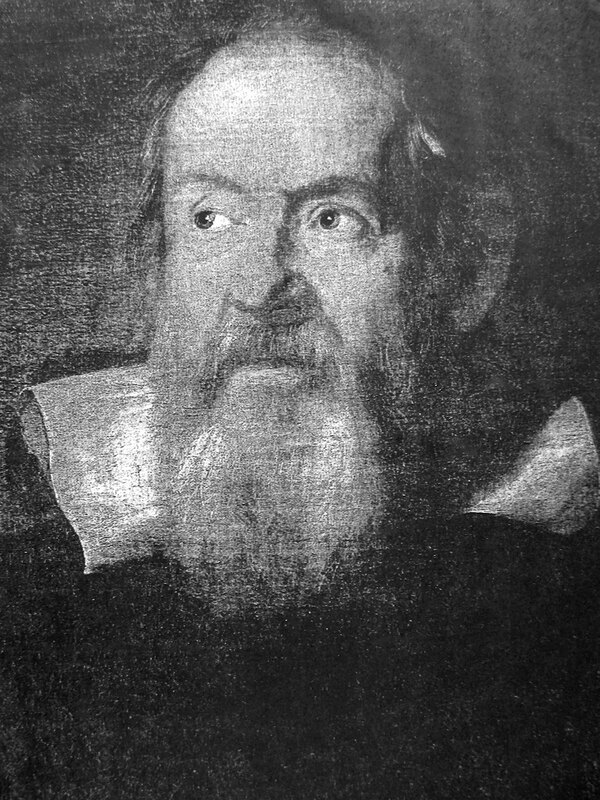 Galileo Galilei was born on February 14, 1564, in Pisa, Italy. His father was a well know lute player and music composer. As a young man, Galileo had seriously considered becoming a priest before enrolling in medical school at the University of Pisa. One day while Galileo was in the Pisa Cathedral he noticed a lamp swinging. Galileo could not take his eyes off of the lamp. He found that no matter how far the lamp swung, the swing always took the same amount of time. This immediately hooked Galileo on mathematics. It would also lead him to the idea that pendulum swinging could be used to regulate clocks. Galileo was teaching mathematics at the University of Pisa when he was just 25 years of age. Just three years later in 1592, he took a job as the chairman of the mathematics department at the University of Padua. At Padua, Galileo he conducted experiments on falling objects. He was interested in Aristotle's claim that different bodies of different weights fall at different speeds. Galileo soon proved Aristotle wrong. His theory stated that all falling bodies fell at the same rate. In 1609, Galileo heard about the invention of the telescope by the Dutch spectacle maker named Hans Lippershey. Lippershey's telescope was fairly crude and it was not long before Galileo had his own version. His telescope magnified objects 33 times larger than the naked eye. Basically, it was fairly simple, just a tube with a lens at each end. The lens that was farthest from the eye was convex (bulged outward), and the lens that was closest to the eye was concave(curving inward). The military was very impressed with it and they hired Galileo to invent a compass for which he was substantially rewarded. After continual observations in the night sky Galileo realized that Copernican model that was now called heliocentrism was correct. The Sun was the center of the universe. Galileo also found that the Moon was not smooth as previously thought, but instead it had mountains and valleys. He also discovered that Jupiter had four moons revolving around it, and that the Milky Way was not mist, but countless stars. As a result of his discovery the moons around Jupiter were named in his honor. Not everything went smooth for him. He had a very difficult time convincing the Catholic Church of his findings. At the time everyone was focused on Ptolemy's view that everything revolved around the planet Earth. It was difficult for the church to believe otherwise. In 1610, Galileo published his findings in his book that was entitled “The Starry Messenger.” The Catholic Church banned him from publishing anything else for the next 16 years. Eventually, Galileo obtain permission from the pope to write about the two conflicting ideas of Ptolemy and Copernicus. He told the pope that he would not take sides. However, he did, and when he released “Dialogue of the Two World Systems.” Galileo was tried in Rome by the church court. He was told that if he did not renounce his ideas he would be tortured. After five days of interrogation Galileo gave in and renounced his view that the Sun was the center of the universe. He spent the rest of his life in Florence, Italy on his estate. At the end he was blind, and in poor health. He died of a fever on January 8, 1642.